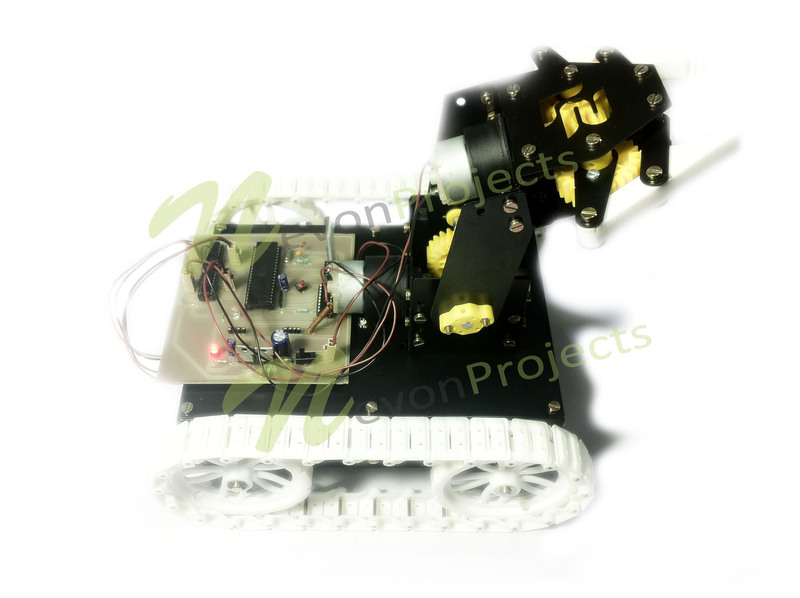 The system provides a pick and place robotic arm which is a soft catching gripper system. It can be used to pick and place objects as needed. This arm is mounted on a robotic vehicle that can be controlled wirelessly through an android mobile phone. The android phone acts as the controller used to transmit the control commands through Bluetooth. These commands are used to operate the robot front, backwards, left and right directions. At the receiver side four motors are used, two to drive the vehicle and the other two used to control the arm movement and gripper movement respectively. 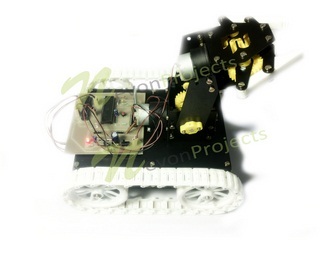 The android phone is used as remote controlling device used to control the robotic vehicle. The use of Bluetooth technology provides adequate operational range with instant transmissions. 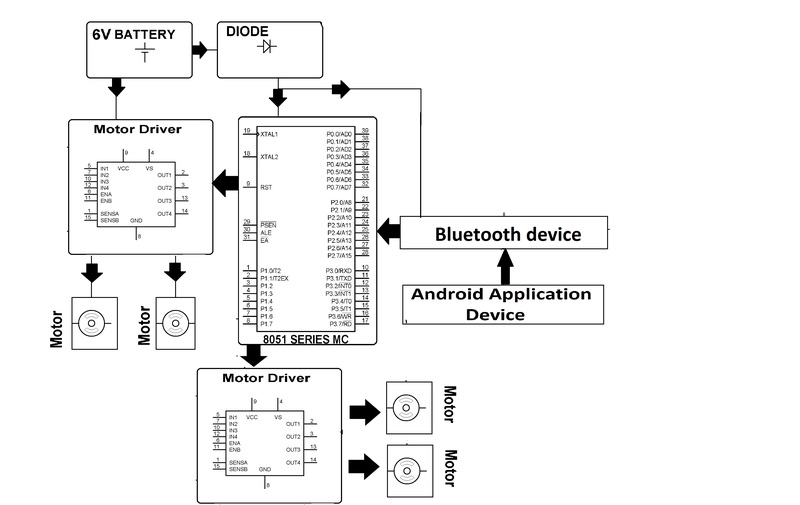 The microcontroller after receiving these commands, operate required motors through the driver IC. It can be remotely controlled by any android device. This robotic vehicle may be used in industrial or even domestic purposes and even as a help for industrial workers.